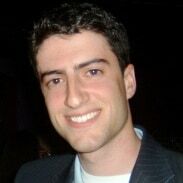 Jeff Finkelman is currently a 2009 Global Graduate Research intern with Ashoka’s Full Economic Citizenship Program. He is a master’s degree candidate (expected 2010) at the Johns Hopkins University School of Advanced International Studies (SAIS) where he is studying international development and economics. Prior to SAIS, Jeff served as a Peace Corps Volunteer in Togo, West Africa from 2005-2007. As a 2009 Global Graduate Research intern, the goal of my research on Africa has been to identify collaborations between the private and citizen sectors and learn what made them work (or what caused them to fail). So far, I have been able to find about 67 cases and while there’s still more work to be done, two clear trends seem to have emerged.